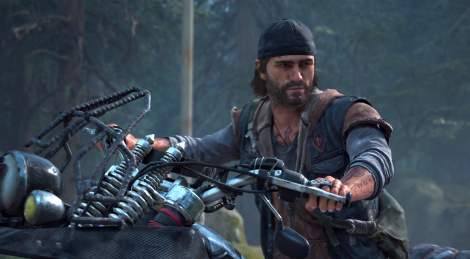 Despite not being in the big 4 games Sony is focusing this E3 i hope we still get a trailer for Days Gone. Dreams should also announce a release date for the Beta finally. We have 2+ hours of new gameplay, what else you want? They announced the game with a plot trailer, we've seen enough of the game, now it's time to polish it. I love the part in the Gameinformer coverage of quick fire questions where the director was asked "Did you play Ride to Hell?" Interesting to see how this game turns out when it could have easily been put on a number of PS4 specific game engines rather than Unreal 4. Just another trailer, it would be a waste not to show the game at their conference with so many people watching. Not everyone checks gaming sites like GI, ign etc. Also i think a well done trailer can make more people interested because it's a shame how many people so far don't care about it. To me it looks like it could be great it just needs polish, but they have plenty of time thankfully. Looks real good. Loved the GI coverage. There are rough patches, stuff you’d expect in an alpha, but it has pretty much an entire year left of Dev time. It’s not like state of decay which was shown off looking janky a month before launch and then unsurprisingly released just as janky. I like that it doesn’t have any Ubisoft style busy work in there. It was funny when GI went up a tower expecting it to be some sort of map reveal system, and they were told towers just serve as towers. Good for a vantage point and that’s it. I am infinitely more interested in State of Decay 2 than this. Although I don't have a means of playing it. Overall though I am pretty sick of the infected/zombie thing. I'm not impressed. I was impressed with the E3 reveal, but since then I haven't seen anything about the game that impresses me. If I'm not mistaken, the hordes are some type of mission, and isn't random. I could be wrong,but that's what I understand from the 2 hour footage that is available. From what I've seen, it seems to have a lot of Dead Island and Dying Light. I really hope that in 6 months time they show more campaign footage with impressive gameplay. Yeah, that’s wrong. the horde is a constantly growing, sleeping, eating mass of bodies that moves across the map. They take over areas where you have cleared out any human resistance. What you may have seen is the "end game" horde challenges. Where you’re tasked with taking out a finite amount of freakers using whatever means at you’re disposal. These are challenging, resource hungry fights, and the one demo’d was consisdered a "baby horde" of only 300. I think it looks fine. 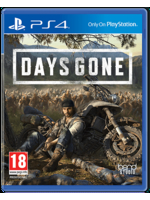 It seems like a story driven game despite the open world setting, so I will keep an eye on it. Think the graphics are pretty darned solid as well and was pleased to hear Bend thought investing in visuals was an important part of the experience. It is, at least for me. A good narrative and strong mechanics, and I may be there Day 1 even.